Community College of Philadelphia has a program-to-program transfer agreement with Millersville University of Pennsylvania. To benefit from this agreement, students must earn an appropriate associate degree before transfer. 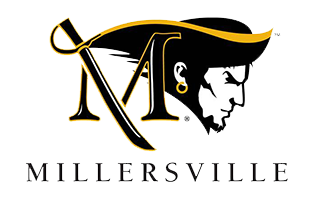 As one of Pennsylvania’s 14 public universities within the Pennsylvania State System of Higher Education (PASSHE), Millersville University is a member of the Pennsylvania Statewide Transfer System, dedicated to accepting the transfer of Associate of Arts (A.A.) and Associate of Science (A.S.) degrees into parallel baccalaureate programs with full junior standing, recognizing all the competencies attained within the associate degree programs. The associate degree may integrate courses to satisfy part of a 30-credit framework. The following Associate in Arts (A.A.) and Associate in Science (A.S.) degree programs at Community College of Philadelphia are approved for program-to-program to Millersville University of Pennsylvania. Students interested in transfer for programs other than those listed should contact a Millersville University undergraduate admissions representative and/or meet with a Community College of Philadelphia academic advisor or counselor to discuss an appropriate plan of transfer.